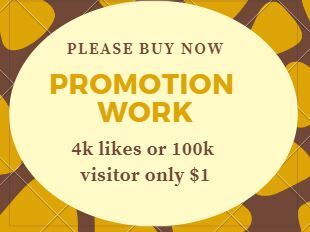 ★★ IF you want to promote your post. You can check all our service !!! ★ We will Promote and Advertise yourpost from social media visitor !!! ★Your post will be Advertise and index around the world! ★We will provide Advertising from Social media!! ★We will increase your expose post for Fast INDEXING! ★ We need your LINK of your post from the SM. Best Service of promotions and fast indexing!! if you have about this service. Note: it is not you-tube service. Will Promote And Advertise Your link famus Social Media is ranked 5 out of 5. Based on 2 user reviews.